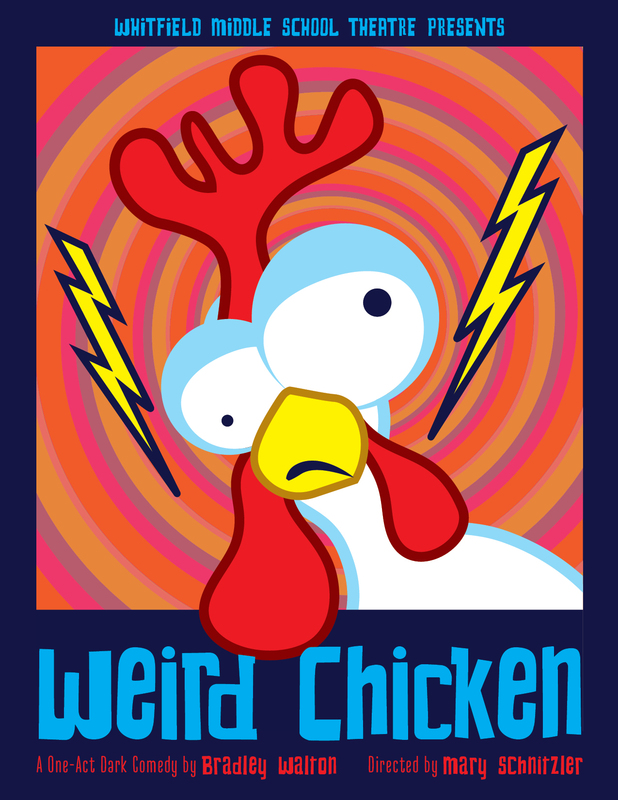 This year’s middle school fall play, “Weird Chicken” by Bradley Walton, opens November 27. The story follows two unwilling participants in a middle school science fair as they attempt to create a Frankenstein monster-style chicken from vegetarian chicken nuggets. While their intention was to demonstrate the inaccuracy of pseudo-science found in TV and movies, both are very surprised when their project is successful. Will their creation find enough love and goodness in its heart to overcome the fear and prejudice of others? Or will it turn against everyone—including its creators? This year marks the 200th anniversary of the publishing of Mary Shelley’s novel “Frankenstein,” a note-worthy fact for faculty member and director Mary Schnitzler. “I am so excited about doing this show!” said Schnitzler. “It is a comedic, modern retelling of “Frankenstein” that touches on several of the novel’s themes including what’s it’s like to be on the outside and the choices you may be faced with in that situation. In addition, the story addresses philosophical topics like our existence, free will, and the control we have over our choices." No tickets are required but seating is limited in the Theater Black Box space located on the school’s garden level. The show is humorous and appropriate for all ages. November 28: 4:00 & 7:00 p.m.